Capt. Laurentiu MIRONESCU, General Manager of an important Romanian river transport company, Euro River Transport and President of Romanian Naval League shared with Danube SKILLS his opinions on current crucial issues regarding inland navigation workforce, common system of Union certificates and the opportunities for logistics services on the Danube. Various studies have shown that there is a labour shortage at European level, which is not evenly distributed on the navigation corridors. Q: From a ship owner’s point of view which kind of bottleneck in the career path of inland navigation personnel influenced significantly the labour shortage and also the lack of qualified workforce in this sector? LM: There is no simple answer to this problem because there are a lot of variables and not all can be controlled easily. As owners of a port and river transport services provider we are using only Romanian personnel. We have identified two sensible moments along a career path of an inland navigator that are generating shortage workforce wise. The lack of basic education of those entering the system, and we are not referring to lack of basic specific knowledge only, would be the first. The second moment consists of the difficult process of promotion along the career path. It takes too long time. The result is that the workforce that we, and the rest of the operators, are using is quite old. It’s a serious matter that should be addressed. Current regulations prevent mutual recognition of professional qualifications and make access to the profession more difficult in Danube riparian countries. The new Directive is intended to establish a mandatory common system of certificates of qualifications for deck crew working on any EU inland waterways starting with 2020. Q: Do you consider that this Union certificate will have a positive impact on employment? LM: A mandatory common system of certificates of qualification for deck crews will boost the mobility of the workforce along the European rivers. Quality personnel will find better paid jobs much more easily. That would generate a challenge for Romanian owners on short and medium term. For the workforce itself the recognition of the certificates all over European inland waterways would be positive, the change usually brings better professional perspective and increases the return that one could get from his own qualification. Inland navigation is often not sufficiently visible and integrated in the door-to-door logistics services. In some case awareness among shippers of the opportunities of IWT is totally missing. Q: What kind of information and data on available services are needed for future integration of inland navigation in the logistics supply chains and to support activity of transport operators? Which would be the most useful way to share such information in your opinion? LM: Well, it’s a correct statement. Too often we face insufficient information to carry out our operations along the river, especially in the Romanian sector. Sometimes there is basic information that is missing, such as the water level. Sometimes it is the economic opportunities that are not revealed. A while ago, a colleague operator found out some transport opportunity chatting on whatsapp ... There is an imperative need for awareness of all kinds of information. An integrated platform should be in place to make users aware of solutions at hand. We live in such a world, with information available in real time, a world dominated by demand, by the customer, more often by the end customer. Unfortunately, in Romania we suffer from the lack of integrated solutions. 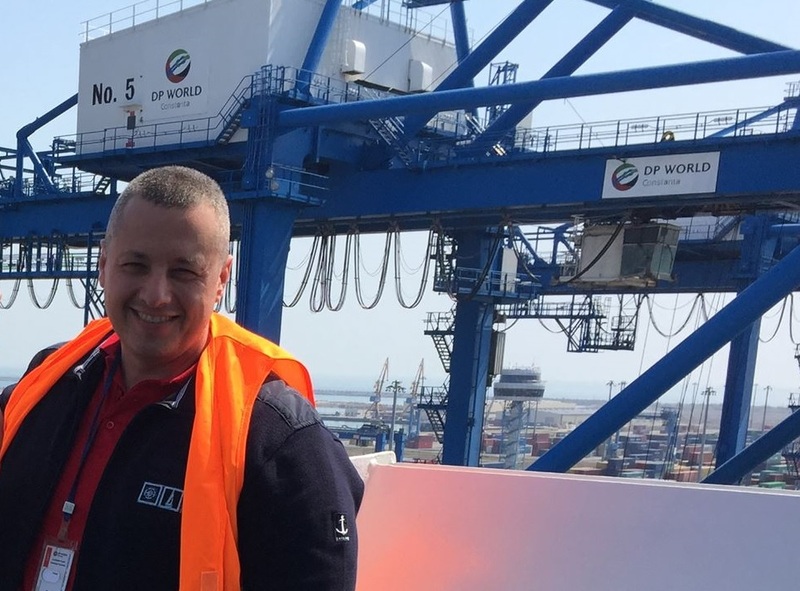 Initiatives like this, targeted at the quality and quantity of inland waterways transports workforce in Europe, are a big help, awareness wise. It’s a first step, but all long journeys in history started with the first step. I wish you best of success!